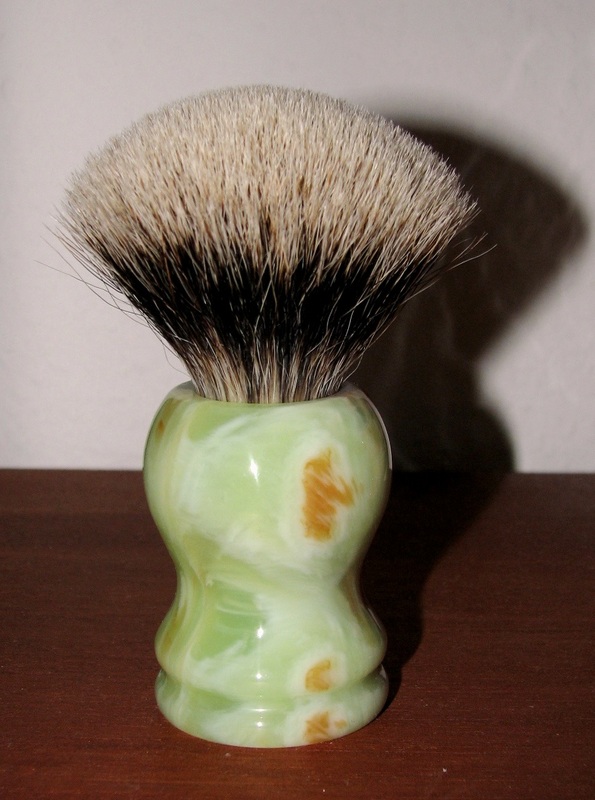 Just received my Shavemac from Bernd - excellent work from the Badger Brush Master ! 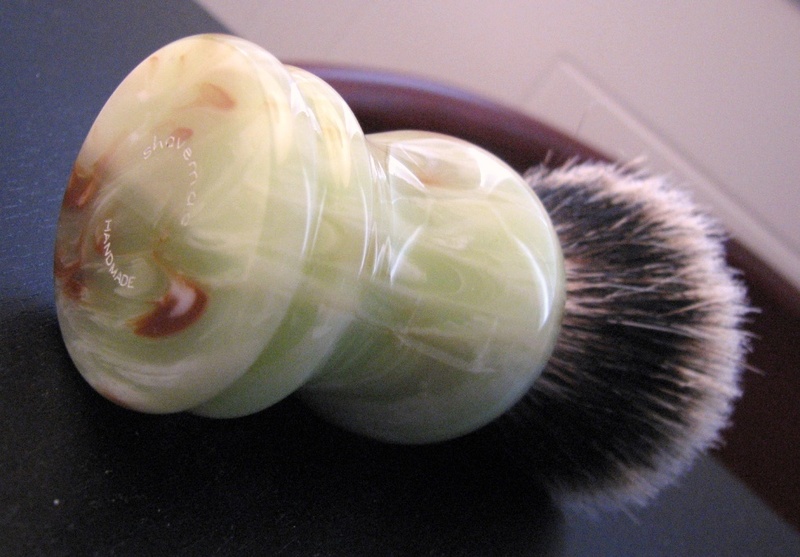 I had an old D01 2-Band Silvertip 26 mm fan shaped Shavemac, which I bought in 2012, and never really felt the handle was large enough for my hands. I fancy larger handles these days, a Chubby 2 is only acceptable, just acceptable to my hands, because it's quite fat/stout. If not - I would have sold all my Chubby 2's by now. A Chubby 1 for me is downright unusabable. So I asked Bernd if he could help me install a new handle in this knot. He accepted and has delivered a GREAT and a HUGE BIG 22714 handle in jade, just as I ordered. Used it for todays shave, and WoW - what a great handle shape this is. Shavemac D01 2-band Silvertip, fan shape, custom order - feels like one of the better Simpson Manchurian knots IMHO, great flow through, not scricthy at all, great backbone, soft tips, just a wonderful brush. Does it beat my Simpson Chubby 3 or Chubby 2 Manchurian ? No, but it's just as gret and impressive. 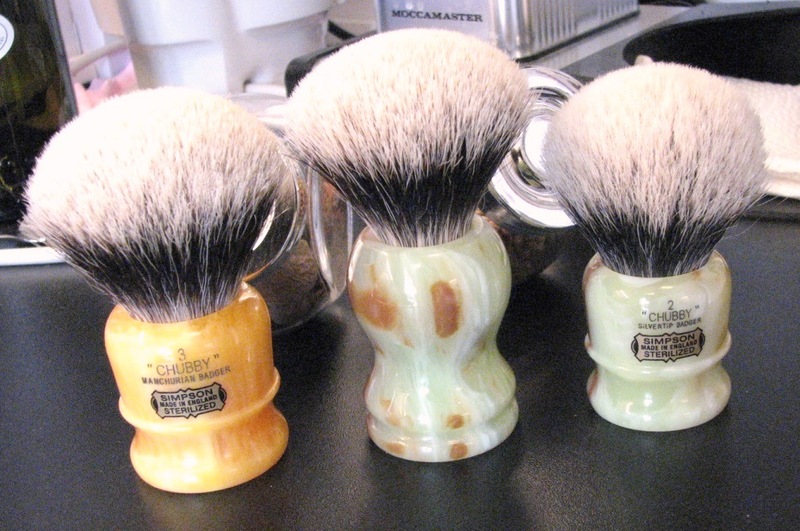 I rank my Shavemac brushes equal in performance to my Simpson brushes, and the custom part makes them that little step better - but Simpson and Shavemac - to me - is neck to neck, when it comes to quality and performance these days. Oh, oh, I like them, very nice Claus. 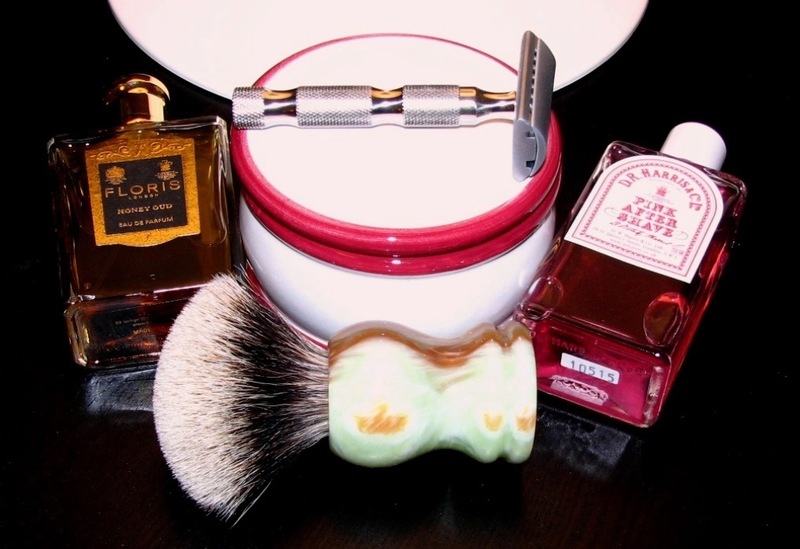 I love my Shavemacs, Bernd is great to work with. Love the handles, the pattern is very nice. Ahhhhh, the SR3824 shape is one of my favorites. Bernd looks like he came through for you, as he always does. Very nice- I also have had good experiences with Bernd and his 2-band silvertip knots are among the best in the business IMHO. Very nice handle. 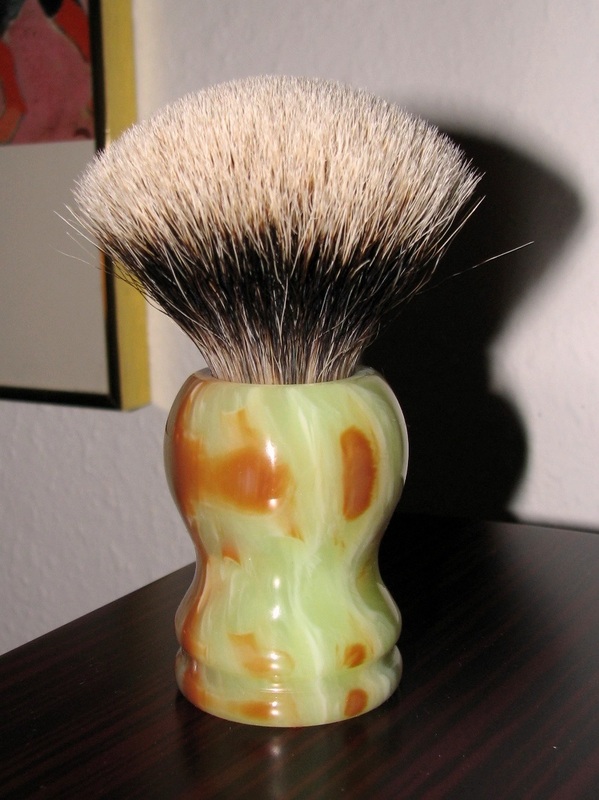 I've been very, very pleased with Bernd's service and his 2-band silvertip brushes. Very nice Claus. What loft was it set at? Lovely! 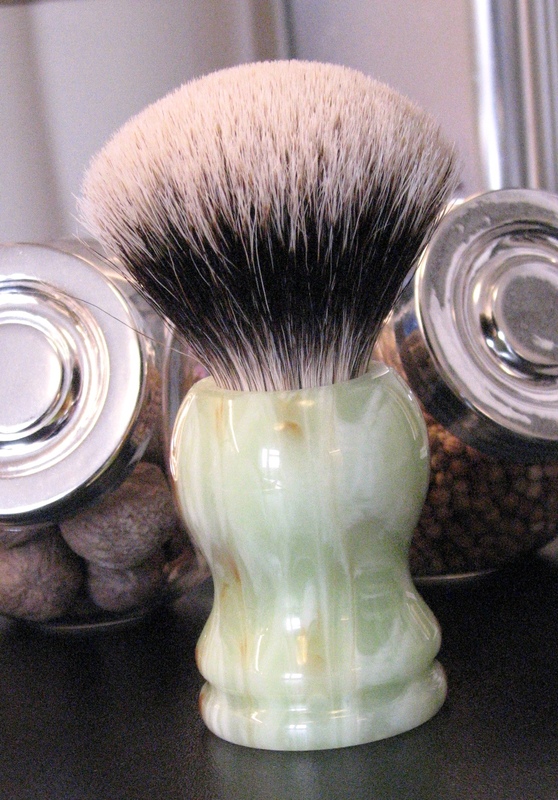 My new Shavemac custom two-band silvertip has quickly become my favorite brush. It's wonderful. (03-25-2016, 04:32 PM)Dipesh Wrote: Very nice Claus. What loft was it set at? 55 mm loft, 26 mm knot, but that was in the original handle - don't know what loft Bernd gave it here. It looks a tiny bit shorter, perhaps it's 53 mm loft in the new handle. Love the brush, it performs so well. Not scritchy at all, backbone, YES, Sir - but a gentle solid nice face massage, not unpleasant like in some of my first D01 2-banders from 2012.